Many times without realising the love of Jesus, we are tempted to sin. We speak bad words, speak against God. Let us pray to God to forgive us. Let us understand that we are dust and we shall return to dust. 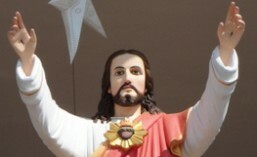 In the new technology world, luxurious life, entertaining world, how many times we forgot the love of Jesus. How many times we could not find the grace of the Lord which would have given us happiness. Let us think about it and repent, pray, ask pardon to Lord. 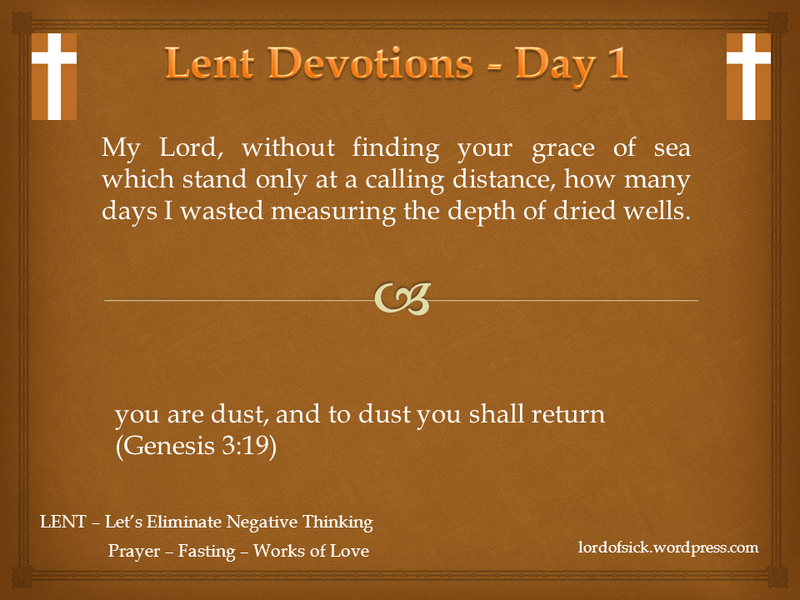 Ash Wednesday begins Lent, a time when we stop and assess how we’re doing in our walk with God. 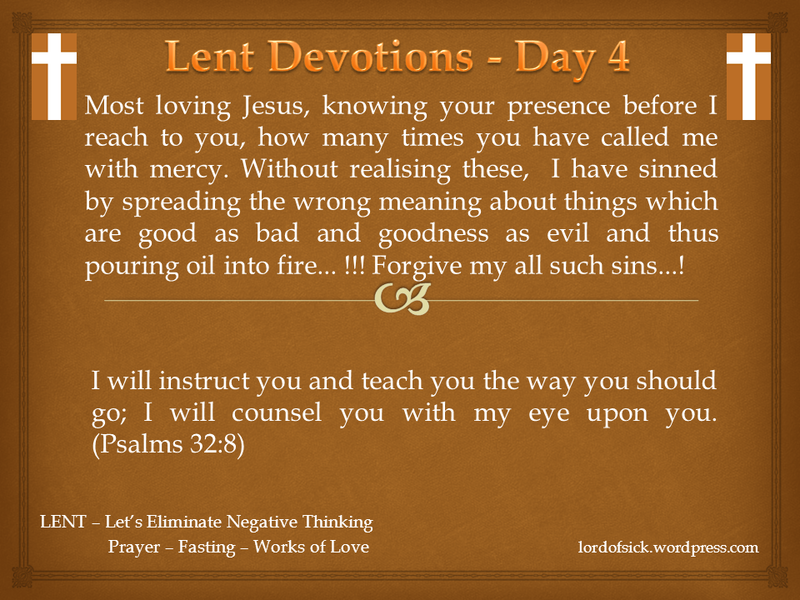 Lent helps us identify spiritual areas in which we can grow and sinful areas that we need to avoid. To repent, put simply, means to turn away from sin and turn toward God. On Ash Wednesday ashes are applied to believers’ foreheads in the shape of the cross.We mark ourselves with ashes as a ‘new beginning’ at the onset of Lent, allowing the life of Jesus Christ to make us whole and new again.Ash Wednesday reminds us that it is only through God that we have life; He gave it to us.